Recently, Gal and I saw the movie Avatar. It was a very good movie and ticked most of the boxes for me – it was visually stunning and for a visual person like me, watching it in 3D was an amazing experience and the messages were very clear and very much in line with my philosophy about nature and spirituality. I could not stop thinking of another amazing animated film I had watched with my kids and loved very much called FernGully: The Last Rainforest. Avatar was a magnificent replication of the messages in FernGully using technology that had not yet been invented in 1992 and a futuristic spin. When I went to the cinema with Gal, it was packed. To my surprise, there were many young kids there, as young as 3 years old. It immediately made me wonder about the right age to watch that movie (or any movie, for that matter). Although I had no problem watching FernGully with my kids at the age of 5, I was not sure about letting my 8-year-old daughter watch Avatar. The level of violence in the movie was above and beyond what I thought an 8-year-old kid should be exposed to. The reason I was confused was that even in FernGully, the bad people did very bad and violent things, but I still did not have the feeling it was above and beyond what I wanted to expose my kids too. I wondered if the animation made it softer or maybe I am trapped in the belief that animated violence is not as bad as “live” violence. Over time, I have noticed the official ratings of movies have not matched my own ratings. On TV, they show movies and rate them M (for mature audiences) and state that “The movie includes violence and coarse language”, but when the movie is animated, it is rated PG, even when it is very violent and exposes kids to messages beyond their capacity to understand. Of course every movie has several layers of understanding, but the violence is very explicit and kids cannot ignore it. I have contemplated this for about two weeks. Obviously, my older kids did not share my feeling. They did not think Avatar was violent at all (Do I rest my case?). Gal thought Avatar was a visual celebration that Noff, our 8-year-old-very-visual-kid would enjoy very much and would not get a chance to watch in 3D in a few years (it will soon be available on DVD already and even on 3D Blu-ray, but the experience is just not the same as a big screen and professional sound). As I tried to come up with a set philosophy, when I was meditating on this, I realized that over 10 thousand parents regularly read this blog and their thoughts and ideas may help me decide the right age to watch Avatar. So, I am asking for your opinion. What should be the minimum age to watch Avatar? In the comment box below, please share your reasons. I agree. It is so important to match the parents judgment with the specific kid. When everyone thought the Spiderman was appropriate for kids, my son could not sleep at night. Yet again, I went to the movies – with killing and chopping heads and have seen 7-9 years old kids – with their parents. At the end of the day, the rating is a recommendation and the parent have a final say. I talk to so many people that do not think there is something wrong with kids watching violent movies. Many of them say to me, I have been watching those movies, nothing is wrong with me. It has nothing to do with age and everything tio do with the parent’s individual assesment of what is appropriate for their kids. Placing a minimum age on a movie is no different than trying to shirk responsibility for teaching your kids about the world…and what is not real. I think that kids understood other things than grownups. Most of the movies in the last years have layers of message that allows every reader to find what suits him/her. I think they did history with this movie. 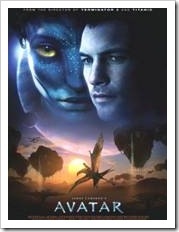 People of all different age level like the movie avatar. It is because of the message of the story- respect to one another. People behind the movie deserved the awards.